KCCE organized a one day trip on April 06, 2019 to Anandpur sahib and Virsat e khalsa. Anandpur Sahib, often referred as "The Holy City of Bliss", is one of the most important sacred places of the Sikhs and is very closely linked with their religious traditions and history. Located on the lower spurs of the Himalayas, Anandpur Sahib is surrounded by picturesque natural scenery with the shimmering River Sutlej gliding past the city. Holla Mohalla is one of the most celebrated festivals in the city and has been drawing in thousands of people to the city during this festival. 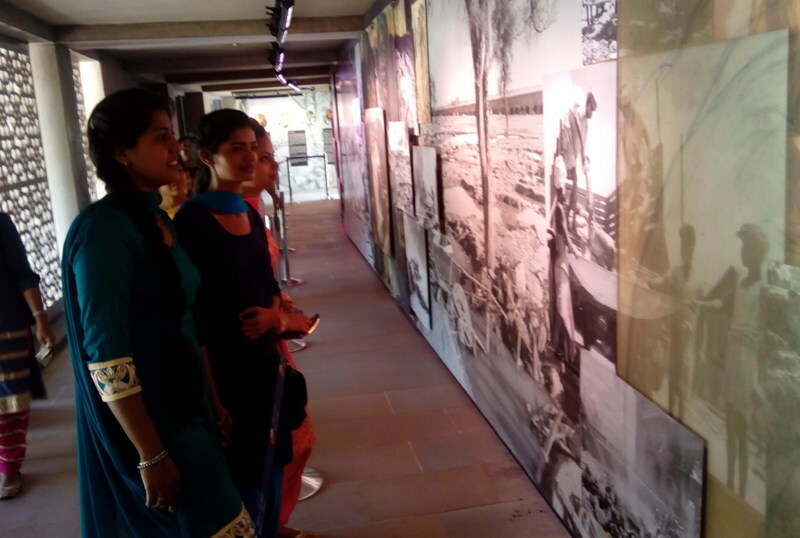 An educational visit to Virasat-e-Khalsa museum, Anandpur Sahib, was organized by KCCE. The visit was conducted for the students of with the aim of making them aware of our glorious history, art and culture. Virasat-e-Khalsa is a museum of the Sikhs located in the holy town, Anandpur Sahib. Virasat e Khalsa Heritage Complex is conceived as a repository of the rich heritage of the Khalsa, showcasing the history and culture of Sikhs and their homeland enshrining the eternal message of Guru's, prefaced by a colourful overview of Punjabi culture. With audio guides recorded in Punjabi, Hindi and English, the museum also draws on a rich vein of Punjabi music to summon nostalgia. High-tech elements include a dramatic fibre-optic chandelier forming the symbol Ik Onkar, made of 2,450 strands of fibre studded with bohemia crystals. Ms. Kuljinder Kaur (Principal KCCE) & Dr. M.P Bhasin (Dean Academics KCCE) encouraged the efforts to enhance the cultural and historical vision of the students. He remarked that knowledge of our glorious past, gained by the students in such visits were the pre-requisites for binding them to their cultural roots.